I remember the moment I first discovered my fascination for flowers very clearly. I was 9 years old and we had just moved to Kobe, Japan. One day, when I came home from school, I was met with the sound of chattering women and a living room full of branches and flowers! It turns out that my mother had invited an ikebana teacher home to give her and her friends lessons in our living room! So, for years, every Wednesday I rushed home, so that I could snoop around watching and listening to the ladies, and the Ikebana teacher talk about balance and how you must “keep the line that follows the most natural growth of the plant”! I never imagined that arranging flowers could be such a science! 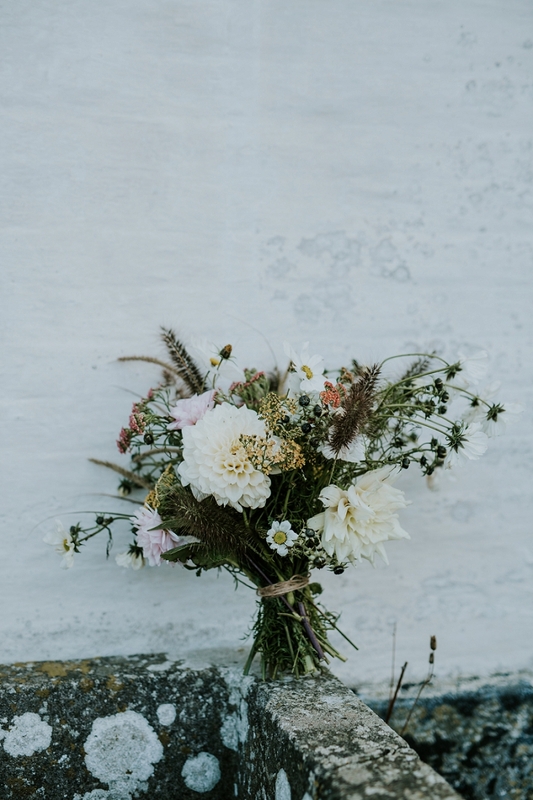 Since then, flowers and branches have always fascinated me, and my love of arranging them into bridal bouquets have developed over the years and allowed me to have a little creative space amongst all the other jobs that come with being self-employed! 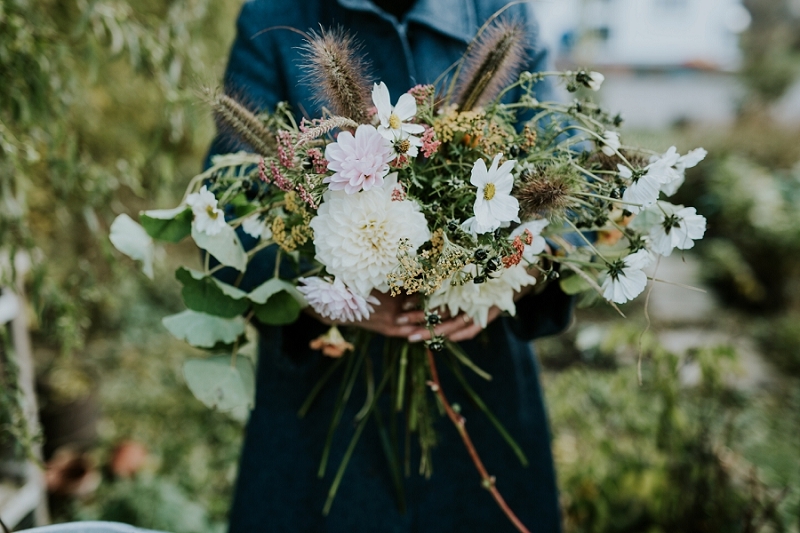 My absolute favourite bouquets are the ones I have made with flowers from our local organic mini flower farm, Sigridsminde, and occasionally I will sneak something edible in there, to give the bouquet a little character! 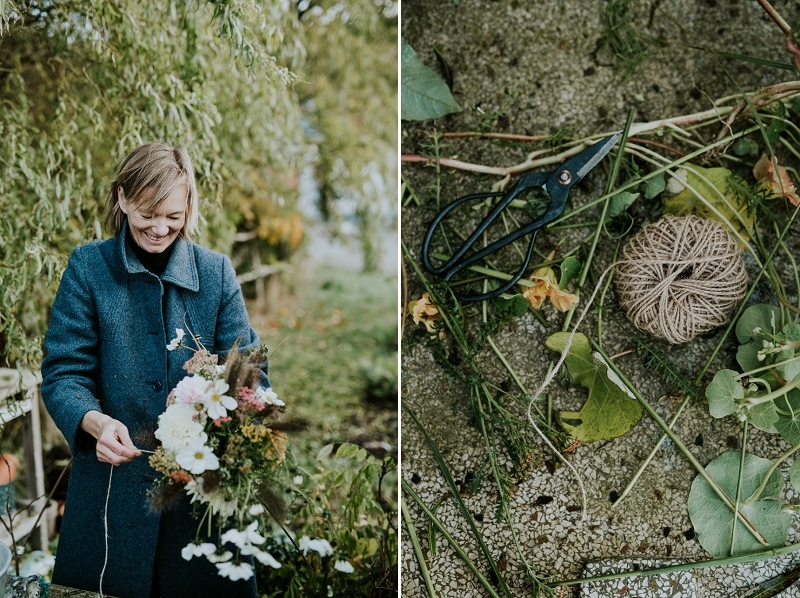 A few days ago I did a little autumn bouquet photoshoot with Camilla, photographer and owner of Sigridsminde, to celebrate the last few flowers in her garden before winter sets in.